That looks good. I never thought about adding vanilla, I bet it was good. 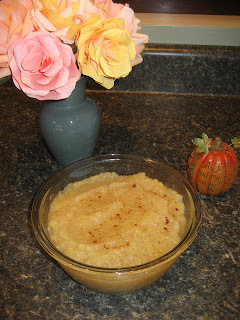 I just made homemade applesauce and I used my Tupperware Quick Chef, worked great! Yay Sandy! Isnt the applesauce so good! I will use my quick chef next time! I used it the other night to shred some chicken for me! It worked like a charm!